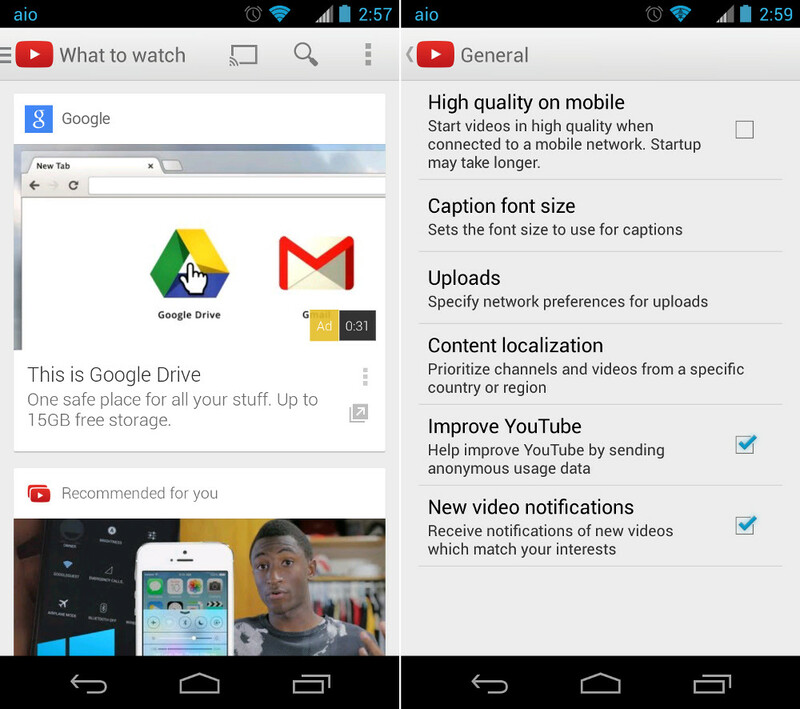 The wave of Google app updates continues to roll in today, with YouTube now joining the party. The Play store listing has yet to update and tell us what is new, but after opening the app, we noticed a couple of things almost immediately. The first, was a listing at the top our timeline which showed as an advertisement from Google for Drive. We aren’t sure if we are only going to see Google ads like this after the update or if this is the beginning of a new advertising machine for any company. The second thing we noticed was a check box in the General tab that allows you to receive notifications for new videos that “match your interests.” Once the changelog is out, we’ll be sure to update this post.